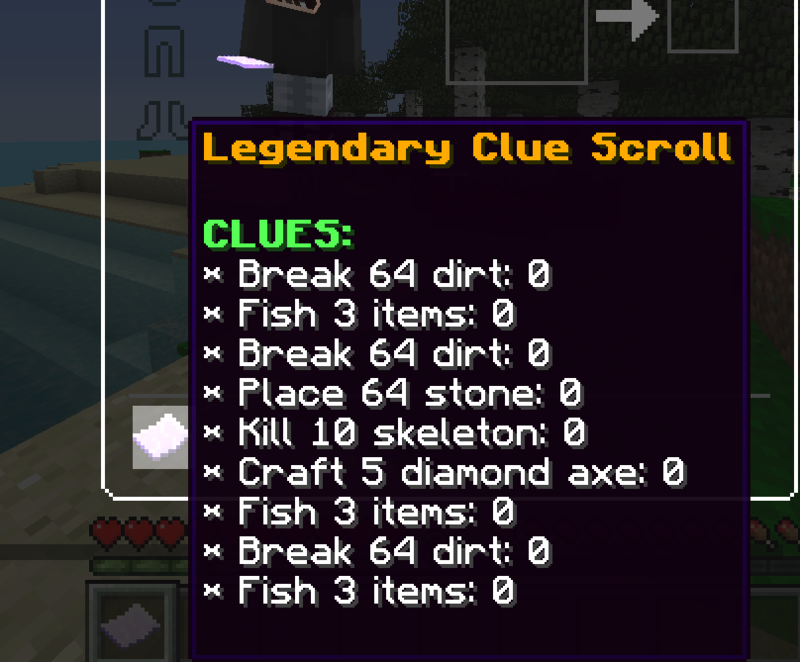 Skyblock will be getting a revamp including a reset. We will redesign Skyblock with new spawn, shops, features and more! We do not want to give it all away to you just yet! This is when the revamp will be finished and released to the public. 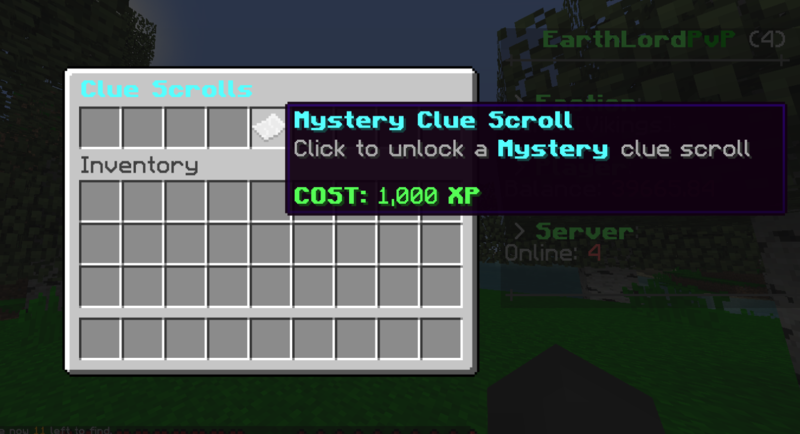 Skyblock is currently closed. Merry Christmas! 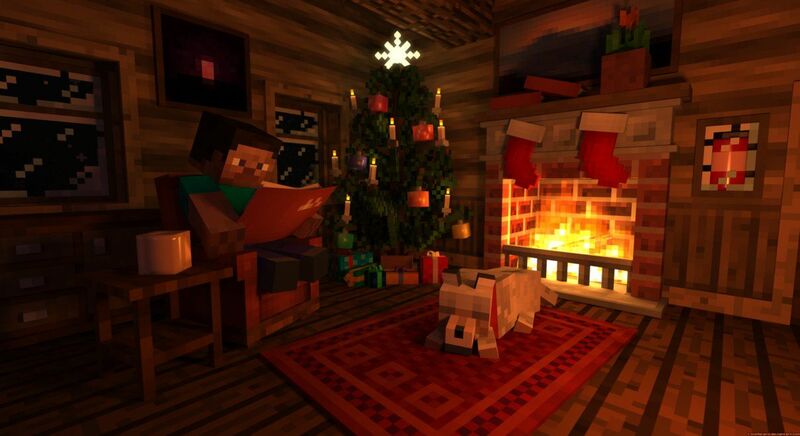 With Christmas coming up very soon we are working very hard on adding many updates! There was a huge update that released on Factions and soon to be Skyblock, This update allows you to upgrade spawners, get spawners from killing mobs, and more! 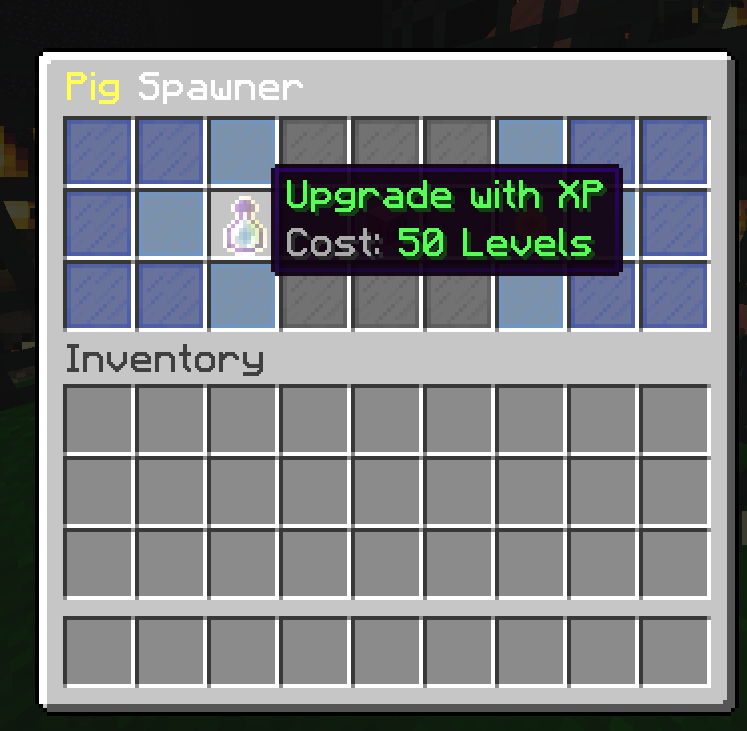 You can upgrade spawners with EXP, Or money. Upgrading a spawner will allow it to spawn more mobs in. It will also have more blast resistance. We have fixed a lot of bugs recently! Added more spawners to the spawnershop. It's that time of the year again, can you hear the sleigh bells ringing? Get your island and your bases ready, this month will be one of the best months yet! It's the end of the year which means the end of the top voters, well done to all of you that have been voting hard to keep the server thriving, think of this as a gift from us to you for your hard work and dedication, Merry Christmas! Can you feel it? All this snow? There is snow everywhere! 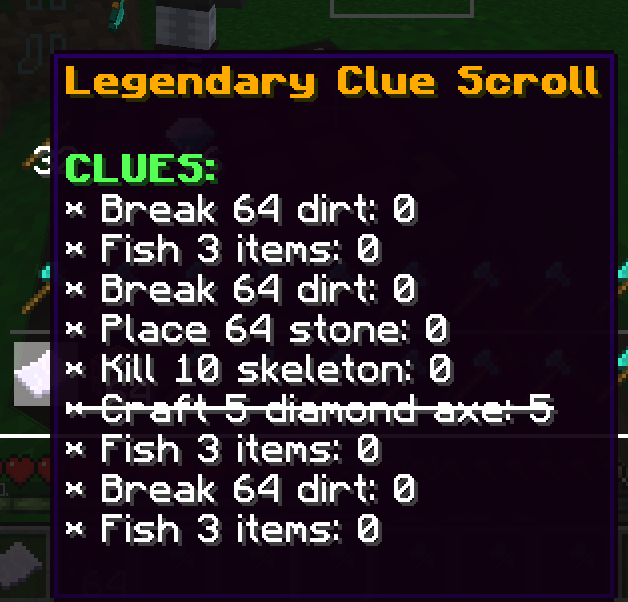 We’ve been hard at work here at EarthLordPvP, we have new content that has released today. 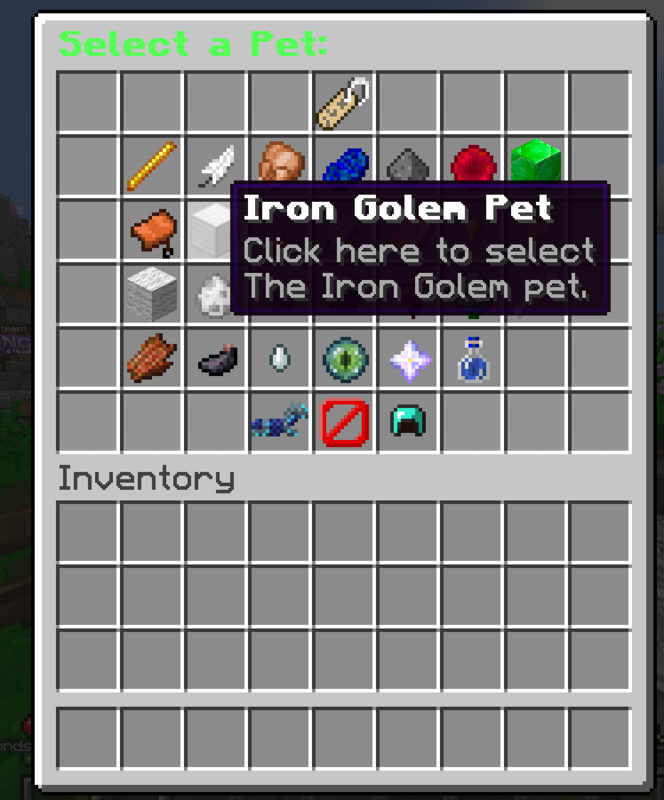 We have more content coming and we hope you guys enjoy what we are bringing to EarthLordPvP. Read below to find out everything that has been released and everything we have planned to release later! We've added a new pet system. Do /pet to open a menu with a ton of options! NOTE: Items will be removed from the storage once you log off, or despawn the pet. Hello everyone, if you didn't know already, I'm Flipora. I will be staying here for a LONG time. I have heard about the troubles you guys have been having with previous CM's, and you have my word that I will do the best in my power to erase that stereotype. I plan on growing this server's player count to make the server more fun for YOU, and we are going to be thinking of new features to include in the server to make it more interesting. I am going to handle staff applications/the staff team, but I will not be bias, so don't try to talk to me in discord and get me to like you if you're only doing it to get staff, because I might not even look at your name on your application until I have made my decision to whether you are accepted or denied. We've added a cool update for you to enjoy on our network! Read this post for more information. Hello guys! We had a amazing and fun month of October. I hope you had a fun Halloween. Let's get into the details of this month! @Zalbus ($20 coupon) - I will be giving the top voter of this month the coupon. My name is Kyus and I have recently been promoted to Manager for the network. I know this is sort of a sudden change and will take some getting used to, but I promise you all that I am very qualified to hold this position. The main reason why I was promoted, is because EarthlordPvP as a whole just needs more management. I will be focusing mainly on the community as a whole, gathering information on what you guys would like to see come to the Network to make it a more enjoyable place to be. I will also be focusing on an advertisement plan for Network as a whole to bring more players and increase our small community. I will also be focusing on maintaining and improving the EarthlordPvP staff team. I have noticed sort of a lack in certain areas of staffing, and I will be sure all those problems will be addressed.